Love classic cars? We do too. It’s Classics Week on Carsforsale.com, so we’ve been reminiscing about all the great vehicles of old, as well as the no-so-great classic car tech features of old. 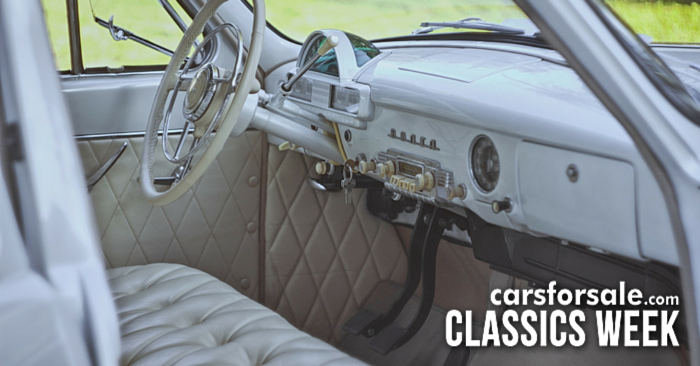 As great as classics are, we are thankful that these classic car features have matured over the years, keeping our friends and families entertained and safe. Then: In the 1970s, the federal government ordered automakers to develop airbags in response to the increase of motor fatalities. 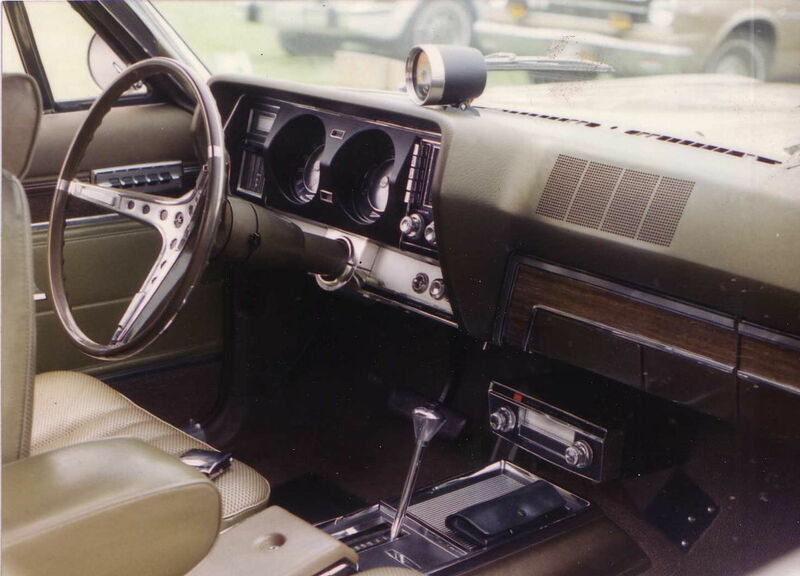 Automakers were mostly against these new airbag measures of the ‘70s, believing that simply wearing seat belts would alleviate the need for airbags. Early testing did not go well for a variety of reasons, one of them referred to as the “standing child problem.” They were concerned that the airbag would always “kill” any child dummy standing in front of the airbag, as if a child standing in the front seat was commonplace. How times have changed. 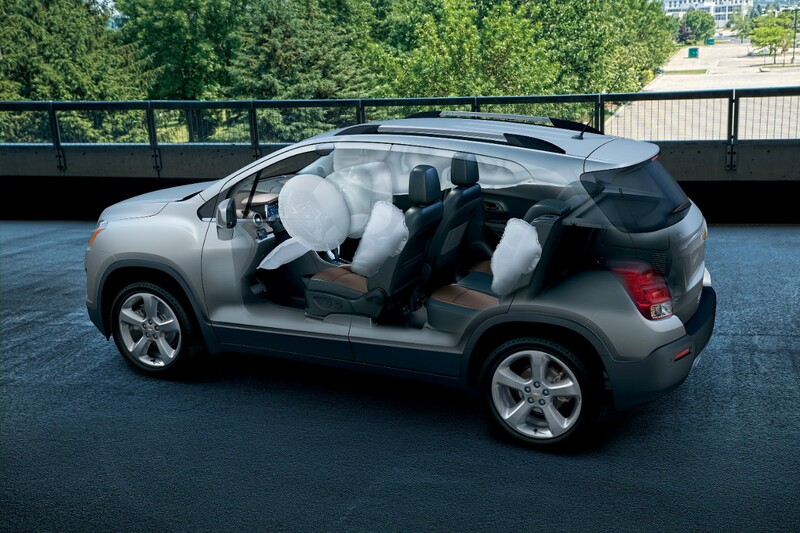 Now: In most modern vehicles, multiple airbags deploy almost instantaneously all around the vehicle, greatly increasing crash protection. Knee, side, and frontal bags are often standard. Then: The early record players in cars were quick to malfunction. Cars usually ate 8-tracks for breakfast. Cassette tapes are totally inconvenient unless you love every song on the cassette equally. Old radio dials made finding the right station a pain. CDs, while a better option, still take up space and can be easily scratched and destroyed. 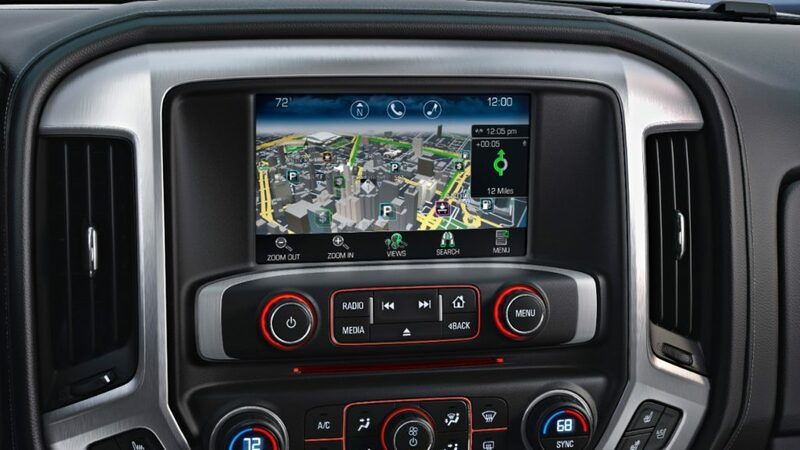 Now: With the simple touch of a button or voice command, you have unlimited music from either your phone, radio, or car infotainment system. Today we have free radio, satellite radio, Pandora, Spotify, and more. It’s all a big improvement, not to mention that today’s cars are quiet enough that you can actually hear music on the highway without going deaf. Then: In 1966, President Johnson signed bills requiring seat belts in all cars by 1968. 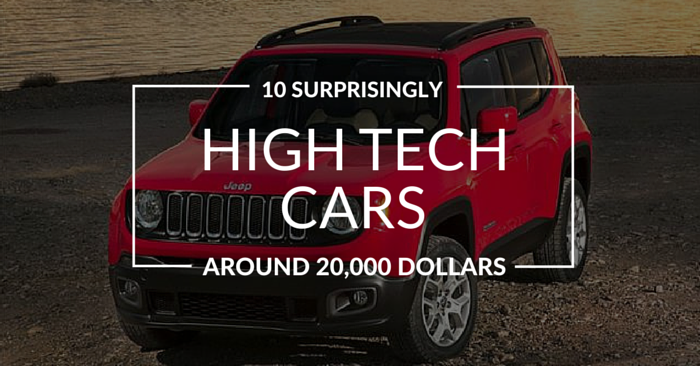 Unfortunately, carmakers still had a long way to go. Remember those extremely uncomfortable lap belts? Let’s be honest, nobody felt safe in those. In the event of a crash, you felt as if your waist-line/abdomen would be utterly crushed. The introduction of 3 point harnesses in the late ‘50s was helpful, but they were still far from perfect. We tried improving seat belts in a variety of ways, like inflatable seat belts. 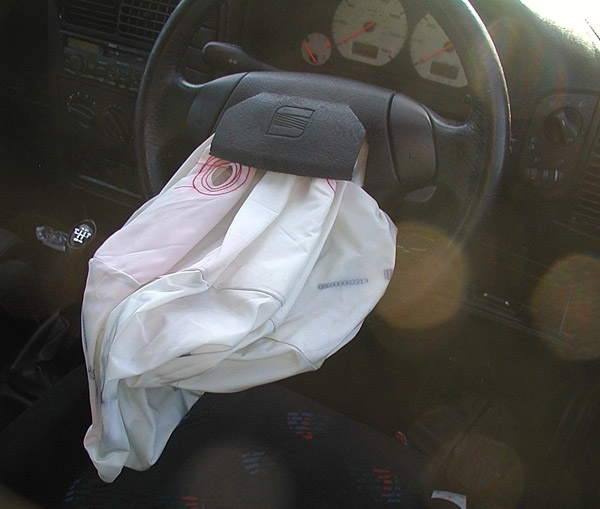 In 1983, every new US car was required to have either airbags or auto seatbelts. Automatic seatbelts often “tangled up” vehicle passengers. 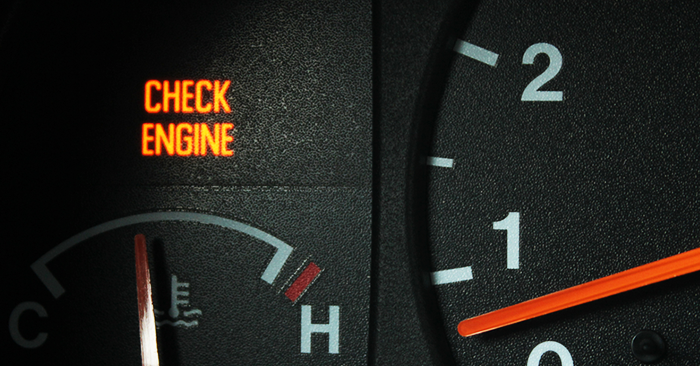 This and other issues led to the demise of the auto belt. 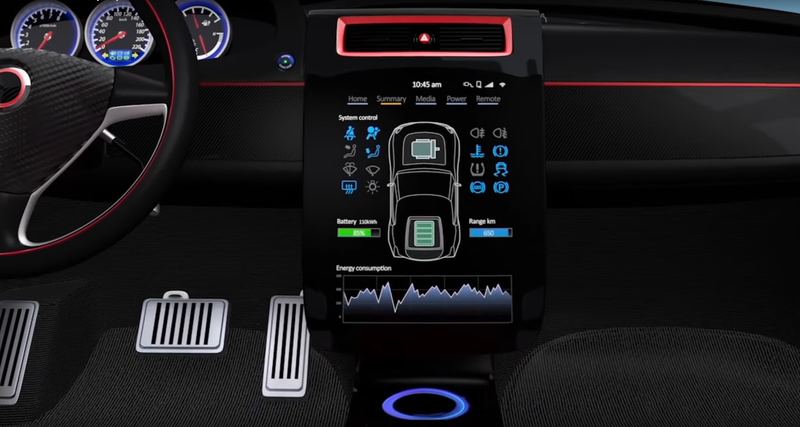 Now: For the most part, seat belts today are comfortable, abundant, easily adjustable, and safe. 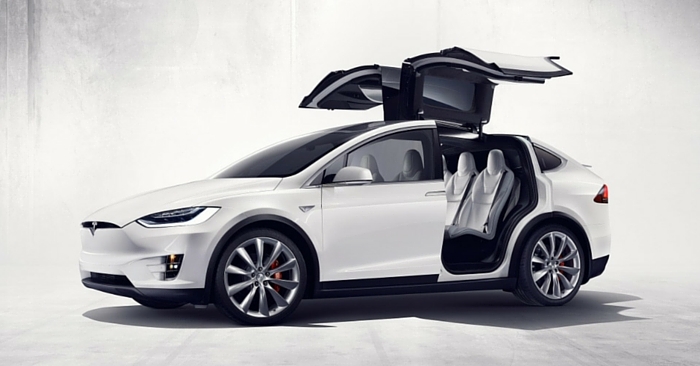 For safety and comfort, the auto industry has come a long way. 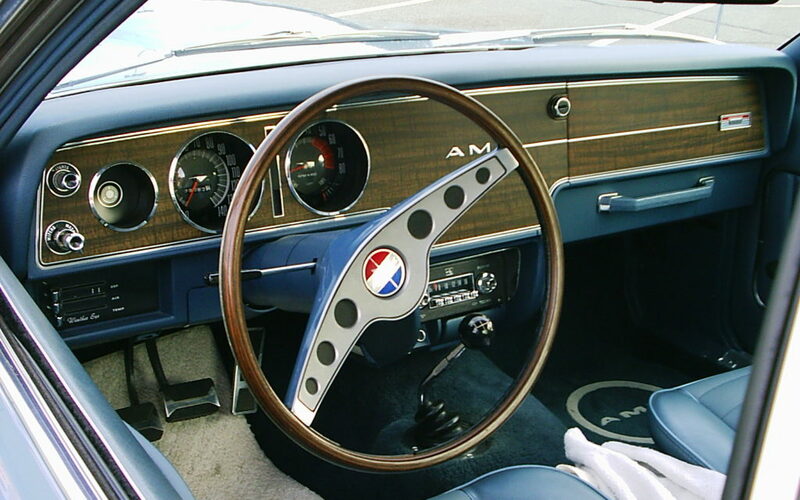 Then: One thing we don’t miss is the rim blow steering wheel, which gave drivers the ability to honk the horn by squeezing the steering wheel. As cool as this sounds, they didn’t last long due to frequent malfunction. There would be few things more embarrassing than having your horn stuck on during your drive to work. Now: We’re back to the basics now. Just a simple press on the middle of the steering wheel, and the world will know you are dissatisfied with something that occurred near you on the road. Then: As much as I enjoy reading a map, the nostalgia isn’t worth getting lost. From trying to read a terrible, outdated map at night, to asking the scary-looking gas station clerk for help, old navigation styles could be tough. Now: Having navigation on your phone or car is absolutely awesome if you’re visiting somewhere new. You can still pull out a map here and there to quench your masculine longing for primal navigation, but it’s nice to have a reliable backup. 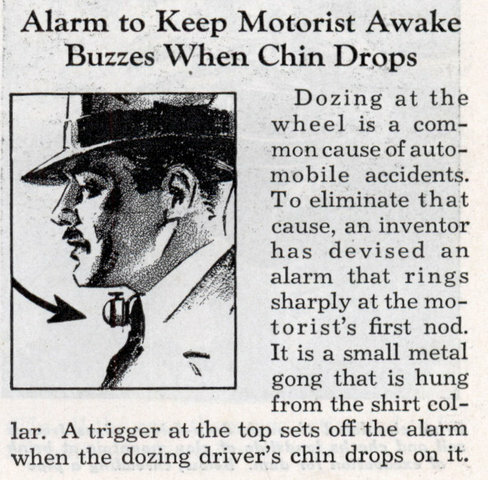 Then: During the ‘30s, some suggested a small alarm under your chin was the best solution to dozing off behind the wheel. It sounds like something out of Looney Tunes, consequently these didn’t take off. Now: Many vehicles now have camera-based alarm systems that alert drivers when they exit a lane without a turn signal, whether due to drowsiness or lack of attention. The alarms can come audibly, visually, or by seat vibrations. 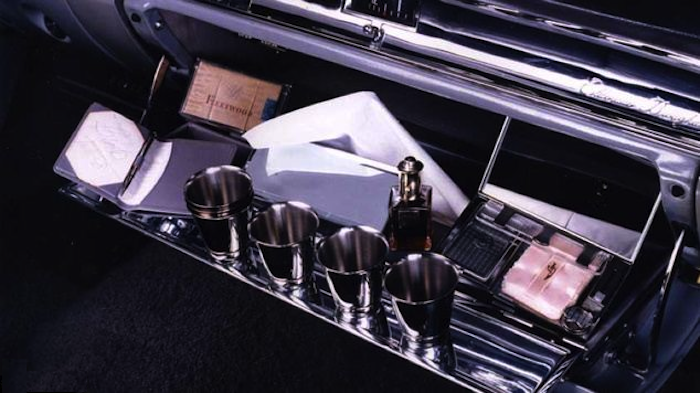 Then: Some gloveboxes used to have minibars. Please tell me you know why this is a bad idea. Now: Obviously, alcohol consumption in vehicles is frowned upon, to say the least. Then: Rather than set your dog safely inside the vehicle, why not strap them to the outside, closer to all the other speeding vehicles? 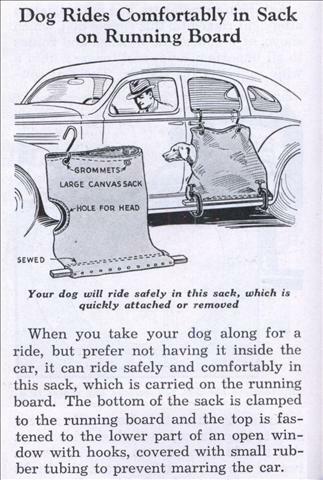 Not to be confused with a “doggy bag,” dog sacks were just an all-around bad idea. Now: Dogs have upgraded their standard of transportation. Love classics? It won’t hurt to look. 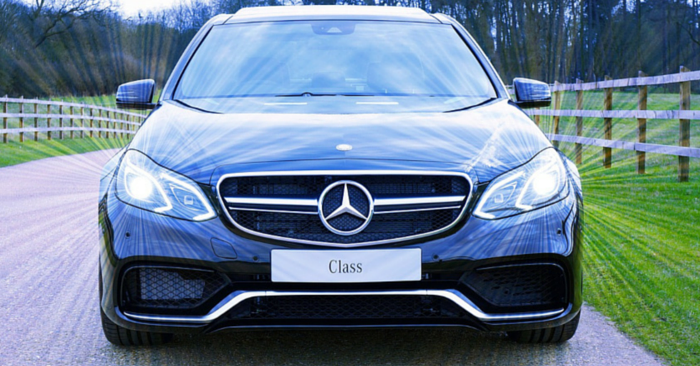 Check out classic cars for sale near you.